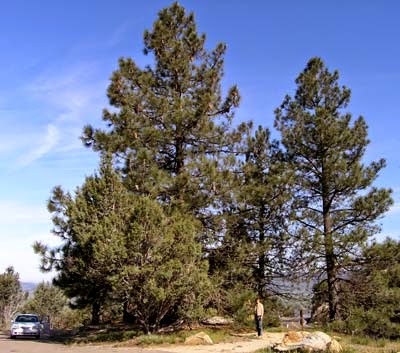 Have you ever been curious about what types of trees are in Big Bear? We have a plethora of different types. The trees in our beloved community are a huge part of what makes Big Bear so beautiful and the air so crisp and clean. They are what give our native critters shelter and even food. They cover the valley in beauty and are a treat to our eyes. They are the perches for birds that sing a beautiful tune as well as our National bird, the bald eagle. The eagles will actually nest in the tops of trees that surround the lake, while they hunt for food within the lake. If you ever look up and see a high tree with bald branches at the top, that means it’s an eagles perch or nest. Trees are so important to this place we call home. 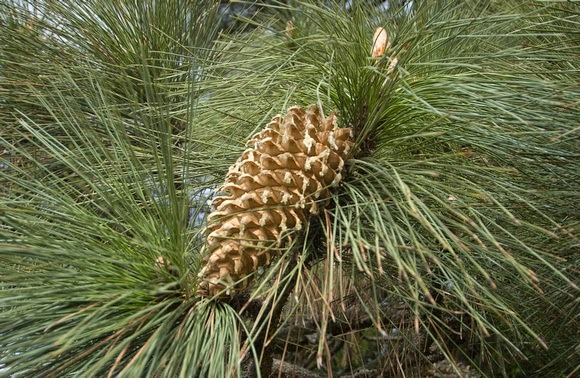 The Coulter pine also known as the big-cone pine got its name after Thomas Coulter, an Irish physician and botanist. This tree is a native of the mountains that run along the coast of Southern California and down to the northern areas of Baja California. Its binomial name is Pinus coulteri. There are isolated groves that are found as far north as the San Francisco Bay Area in Mt. Diablo State Park and Black Diamond Mines Regional Preserve. The wood on the Coulter Pine is weak and soft so it is not used for much else than firewood when cut. This is just one of many different beautiful trees that we have up here. Be sure to check out the following link for more info on native trees in our San Bernardino mountians!